Fidelma O’Hagan is currently the solicitor with the Committee on the Administration of Justice. She qualified in London where she specialised in immigration law working in private practice as well as the Joint Council for the Welfare of Immigrants and the Refugee Legal Centre. She also worked for two years with the Prisoners’ Advice Service providing legal advice and representation to prisoners in England and Wales. When she returned to Northern Ireland in 1999, Fidelma began work as an immigration solicitor in Law Centre (NI) specialising in trafficking, refugee and human rights law, as well as being a casework manager. She remained with the Law Centre for 17 years before joining CAJ. Anna is a Senior Lecturer in the QUB School of Law. 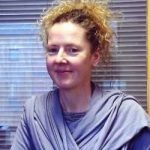 She is currently working on two ESRC funded projects – ‘Apologies, Abuses and Dealing with the Past’ and ‘Brexit and Northern Ireland: The Constitutional, Conflict Transformation, Human Rights and Equality Consequences’. 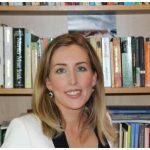 Her research has developed along three closely related lines: modern Irish history, socio-legal studies and conflict transformation. She has to date published three books (two sole-authored and one co-authored). She recently signed a contract for a fourth book – a co-authored monograph with Cambridge University Press. In addition, she has published eight peer-reviewed articles as well as book chapters, training manuals and specialist reports. 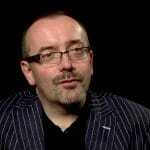 Brian is Director of the Committee on the Administration of Justice (CAJ), Northern Ireland’s leading human rights NGO. 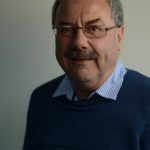 For over a decade before that, he was an independent consultant working mainly in the voluntary and community sector and specialising in justice, human rights and equality issues. He was Deputy Director of NIACRO for 25 years until 2000 working with communities, alienated young people, ex-offenders and prisoners’ families. 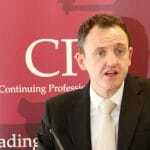 He has published and presented extensively on justice, community policing and conflict resolution issues, particularly on politically motivated prisoner release, victims of terrorism, dealing with the past and restorative justice. He has been involved in international peace-related work in South Africa, Israel/Palestine, the Basque Country, Italy and Colombia. He also worked on the Bill of Rights with the NI Human Rights Commission. 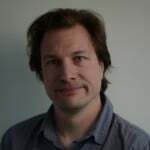 Kieran is Professor of Law and Transitional Justice and a Senior Research Fellow at the Senator George J. Mitchell Institute for Global Peace, Security and Justice, Queen’s University Belfast. 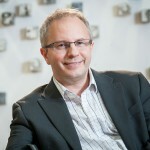 He was previously Director of Research at Queens School of Law and Director of the Institute of Criminology and Criminal Justice. Before entering academia he worked for NIACRO, a large NGO, which advocates on behalf of prisoners, their families and ex-offenders. Emma has the dual function of being the Equality Officer for theCommittee on the Administration of Justice and Equality Coalition Coordinator. The Equality Coalition is a membership organisation co-convened by the Committee on the Administration of Justice (CAJ) and UNISON. 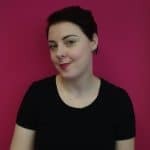 Before taking up the Equality Coalition role Emma was employed by the Commissioner for Children and Young People (NICCY) and the Older People’s Advocate NI (OPA). Emma is currently on secondment to UNISON the trade union until September 2017. 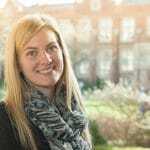 Emma studied Criminology and Criminal Justice at the University of Portsmouth and then completed her Masters in Criminal Justice at Queens University Belfast. Emma is a feminist and is involved in the women’s movement; her particular interest is women’s role in post- conflict NI and the advancement of women in public and political life. Emma co- authored the Gender Principles for Dealing with the Legacy of the Past in NI with the Gender Integration Group. Emma has previously been secretariat to the All Party Working Group on 1325 women, peace and security at the Northern Ireland Assembly. For CAJ she led on the shadow report for the United Nations Convention on the Elimination of all Forms of Discrimination against Women (CEDAW) in July 2013. 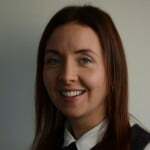 Amanda is a Research Fellow in the School of Law, Queen’s University Belfast. 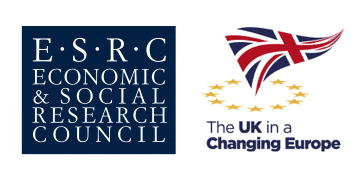 She is currently working on an ESRC funded project, ‘Brexit and Northern Ireland: The Constitutional, Conflict Transformation, Human Rights and Equality Consequences’. Amanda completed her PhD, entitled ‘Law and Policy in Africa: Postcolonialism and the DRC, Mali, and Nigeria’ in 2017 in the School of Law, Queen’s University Belfast. To date, Amanda has published three peer-reviewed articles appearing in the Irish Yearbook of International Law, the Leiden Journal of International Law, and the Queen’s Political Review. Amanda has also been involved in drafting an amicus curiae submission to the Extraordinary Chambers in the Court of Cambodia. She also has international teaching experience, being employed as a lecturer in the School of Social Sciences, Education and Social work at Queen’s University Belfast, convening two modules: ‘Crime and Society’ and ‘Introducing Criminology’ in 2016; and convening ‘Introduction to Criminology’ in the Criminology Department of the University of Ottawa in 2014.